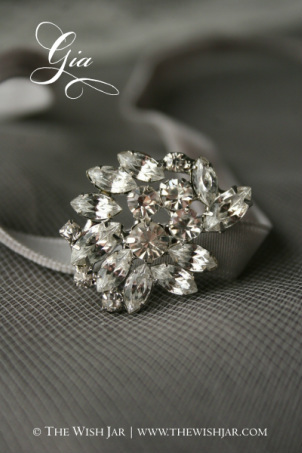 This brooch is the smallest of our collection, and can be attached to a bouquet, a headband, a sash or shoes. We think she's incredibly adapatable. These look great purchased in pairs.